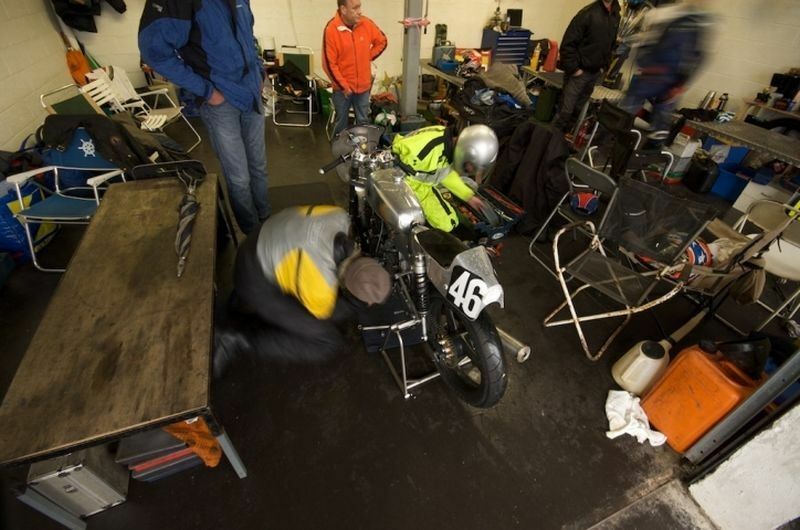 Kreidler RMC Racer Edwin Sweers - Maarten's Kreidler Club! Wat een super mooie racer. zit er ook snel uit. BESTMAN schreef: Wat een super mooie racer. Erg mooie Kreidler. Ook de fotografie ziet er erg professioneel uit. waarom is dit allemaal in het engels ? Edwin Sweers is toch een Nederlander ? hva schreef: waarom is dit allemaal in het engels ? Edwin Sweers is toch een Nederlander ? Als het in het Engels lastig lezen is even op de link klikken en dan vertalen Engels -> Nederlands. Verder een mooi kunstwerkje, kan ik uren naar kijken. Kom via een andere bron nog een foto tegen. Pardon, die foto hadden we dus toch wel al. 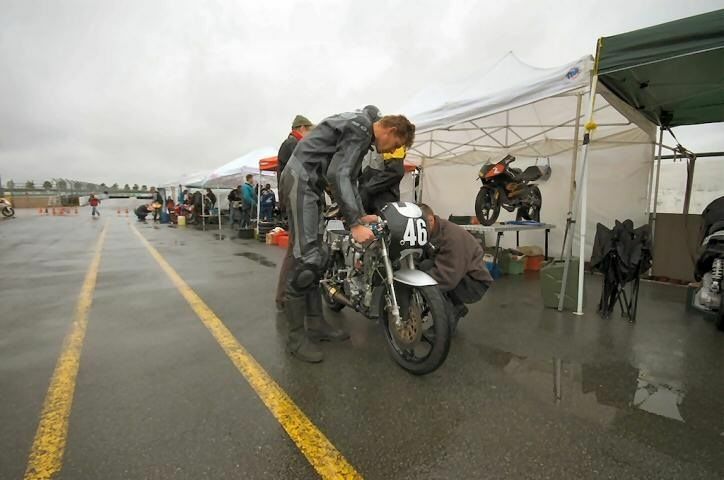 Can you imagine a 50cc racing bike with no shiny decals and sponsor logos on it? 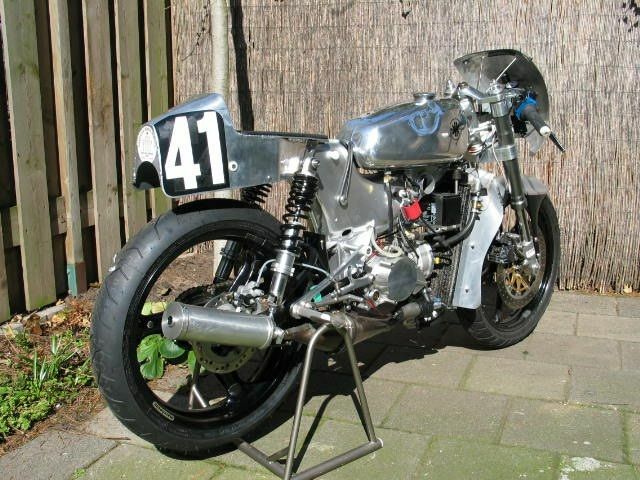 If you're having trouble picturing such a weird contraption, we introduce to you the Kreidler RMC, customized and ridden to many victories by Dutch Edwin Sweers. 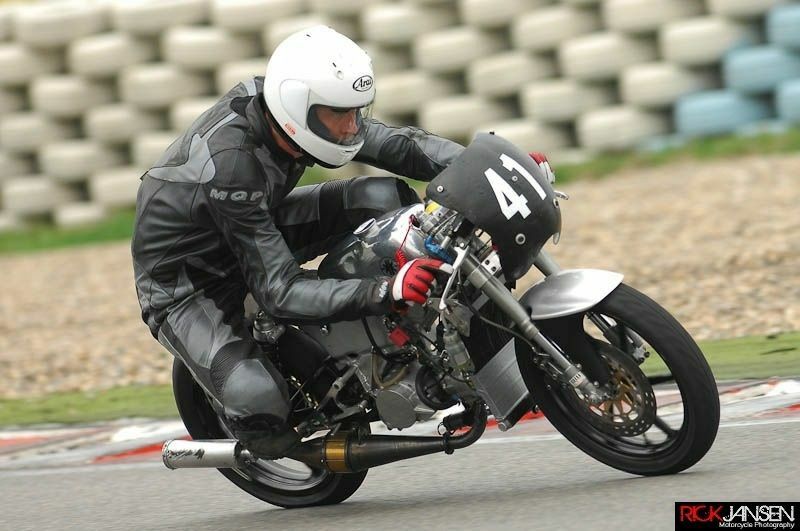 Sweers admits the old Kreidler chassis has nothing in common with modern-day small-displacement bikes as it lacks the needed stiffness... and with all the tuning the 2-stroke Derbi engine got, things are even more amiss. The bike is now retired, but it still delivers 19 hp, which for a 50cc machine is ridiculously high power. The 5-piece exhaust and tweakable ignition means almost an endless chase for the best performance, but Sweers has already proven the old Kreidler can win. With a 6-speed gearbox, Honda RS125 fork and an Öhlins rear shock, Sweers' Kreidler RMC went where no other similar bike dared. And all with no sponsor logos and no decals. 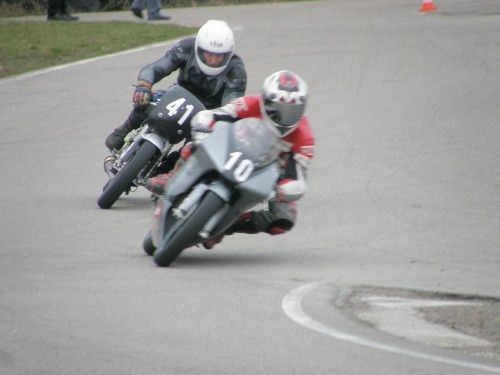 Is it possible that 50 cc racing bike was brilliant without decals and stickers sponsors? 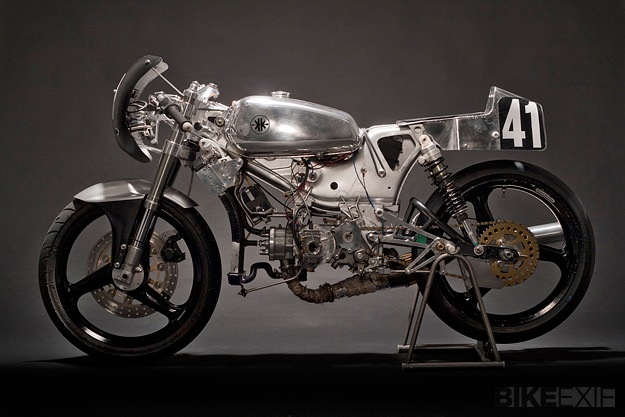 The answer to this question is simple, if you look at the motorcycle Kreidler RMC, which is striking in its flawless metallic beauty. 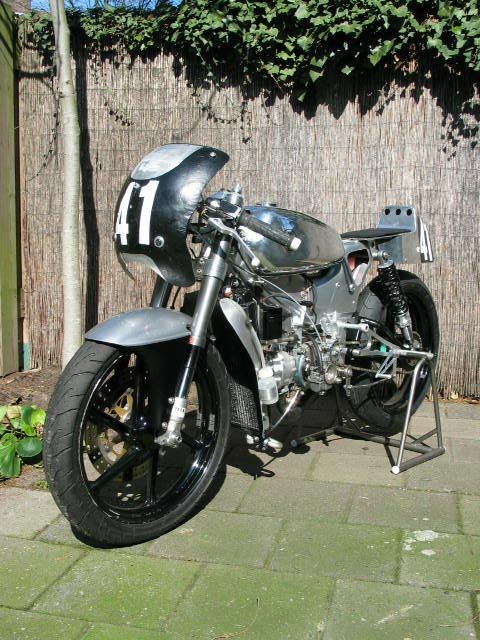 Kreidler RMC Racer was reworked by Dutch master and motorcycle racer Edwin Sweers. 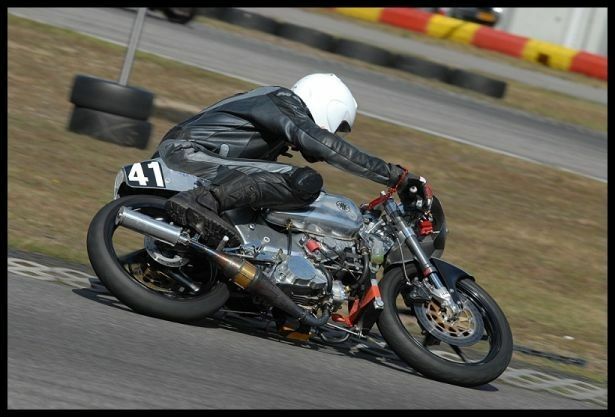 Edwin bought a motorcycle Kreidler RMC in 1985, when he was only 16 years old. 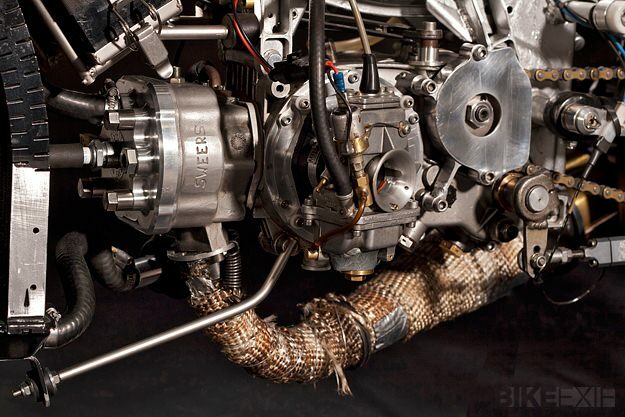 Now 50-cc motorcycle engine produces 19 hp at 13 500 r / min (maximum speed – 15 000), equivalent to almost get liter 400 hp. 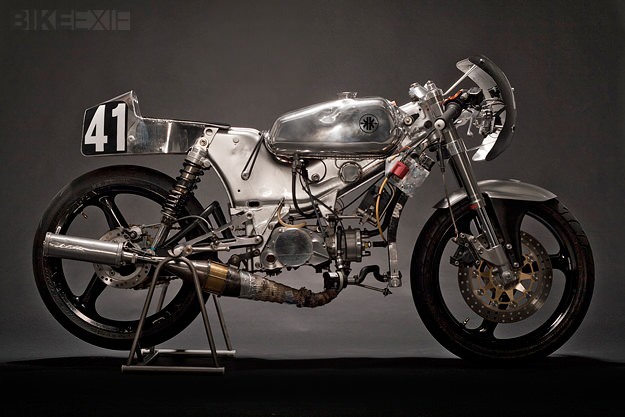 For several years Edwin old German riding a motorcycle on DOPam, but then altered it into a racing bike to participate in the Dutch series. In 2010, he achieved the first victory. 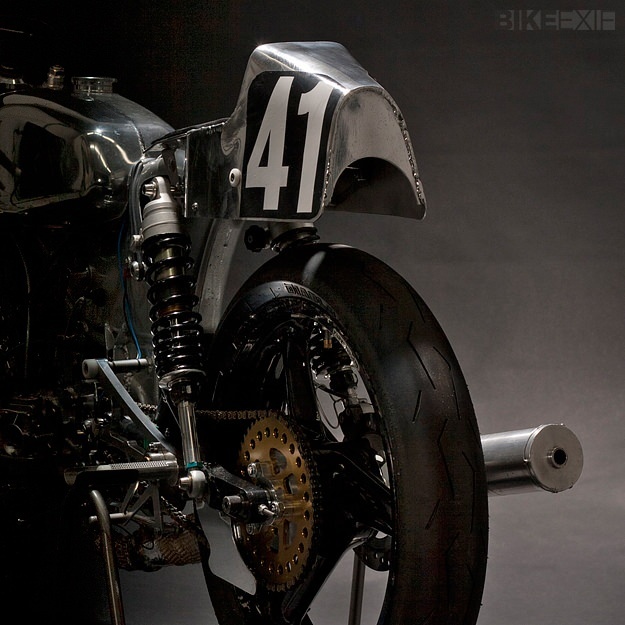 Despite the many alterations, chassis design was archaic, while the front suspension borrowed from the motorcycle Honda RS125, while the rear bumper installed Öhlins. 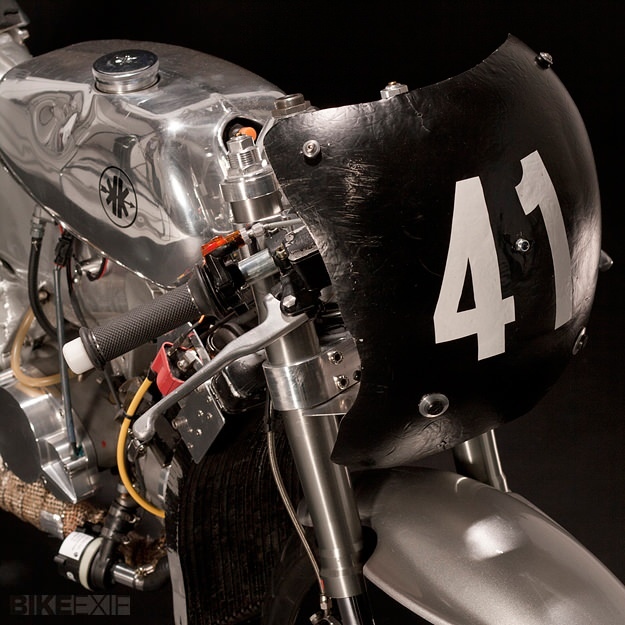 In fact, the crankcase and the steel frame remained from the original motorcycle. 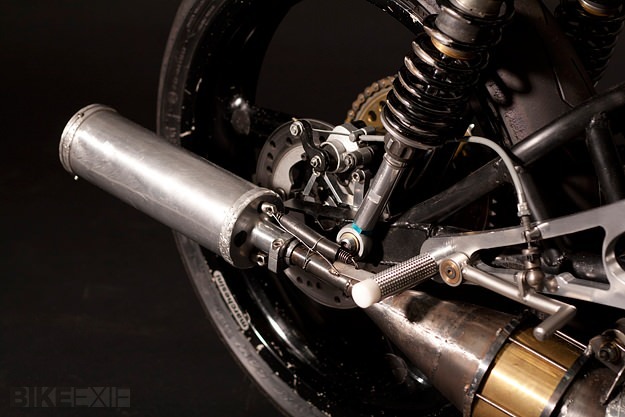 On the other side of the crankcase was slightly redesigned to establish a six-speed gearbox and cylinder cooling water from a modern motorcycle Derbi. Edwin also uses electronic ignition and custom exhaust system, which consists of five interchangeable parts, so you can experiment to achieve maximum performance.